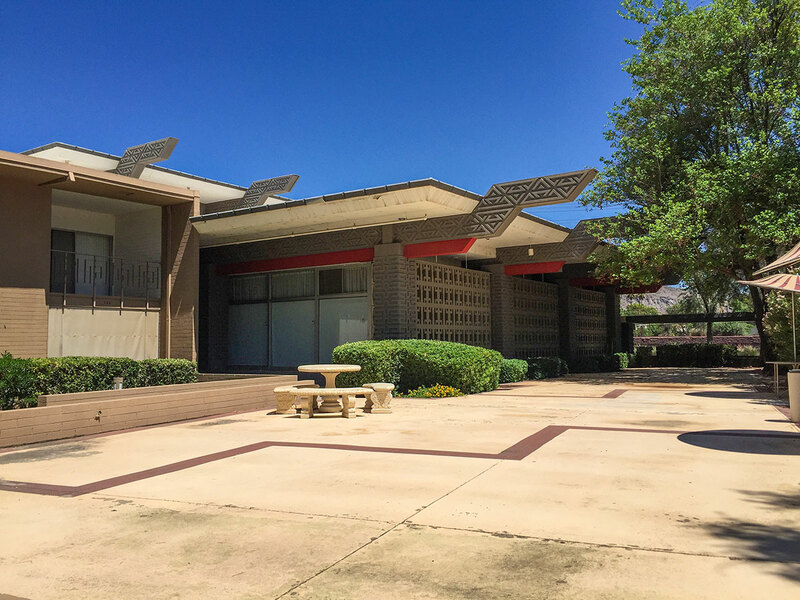 By Charles Polacek AIA, 1962, with Farmer Construction Co. 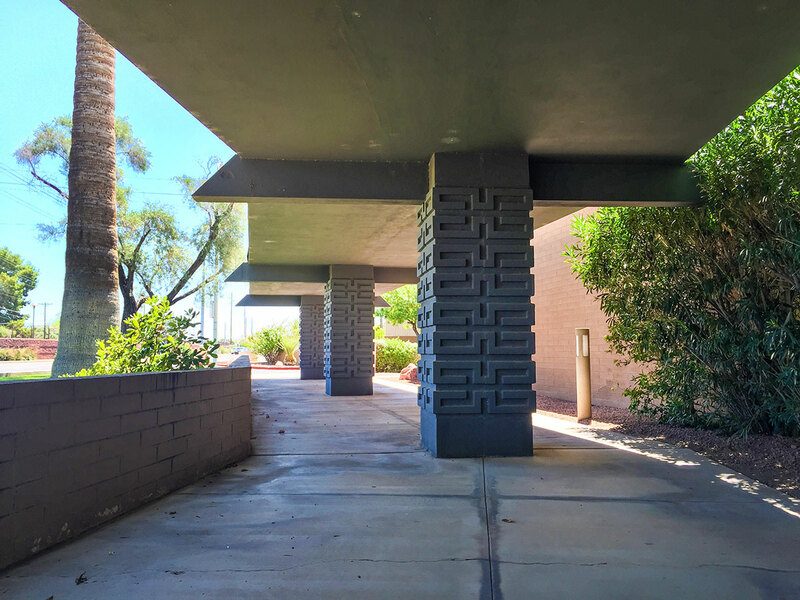 Sprawling across 8 acres of the former Ingleside Inn site in Scottsdale, Brownmoor Estates featured 200 apartments tailored for senior living with a large business/community center on the Indian School Road frontage. 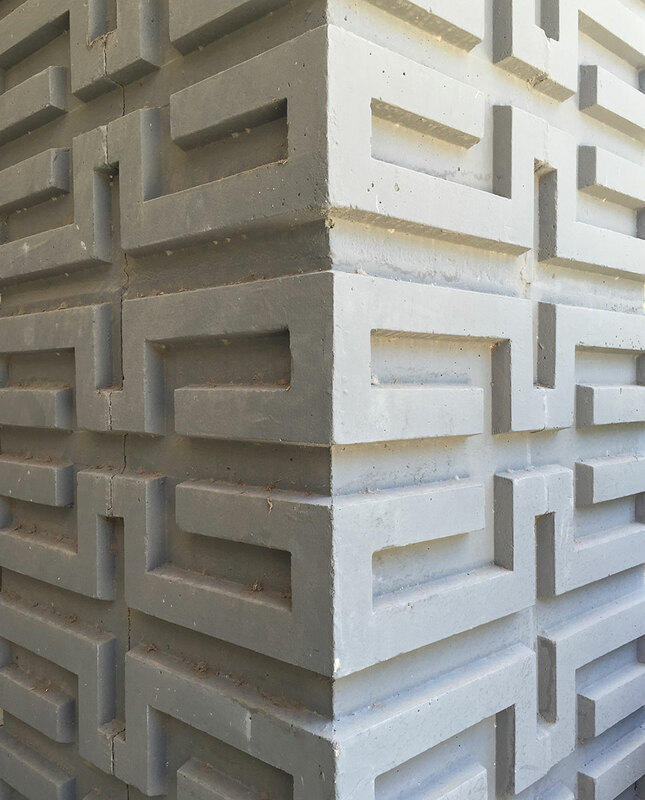 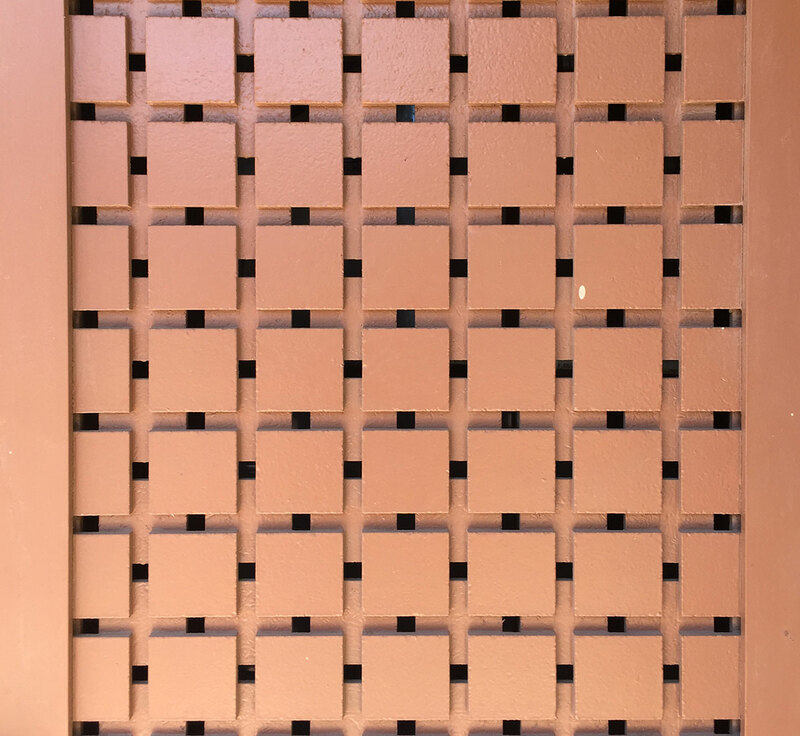 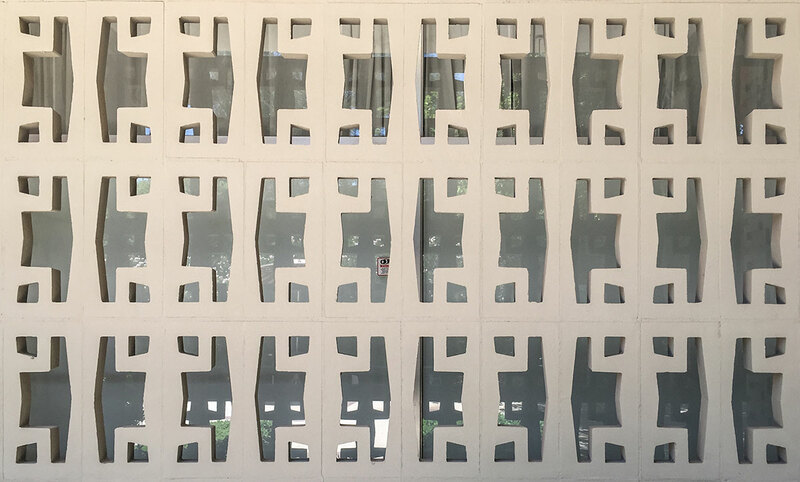 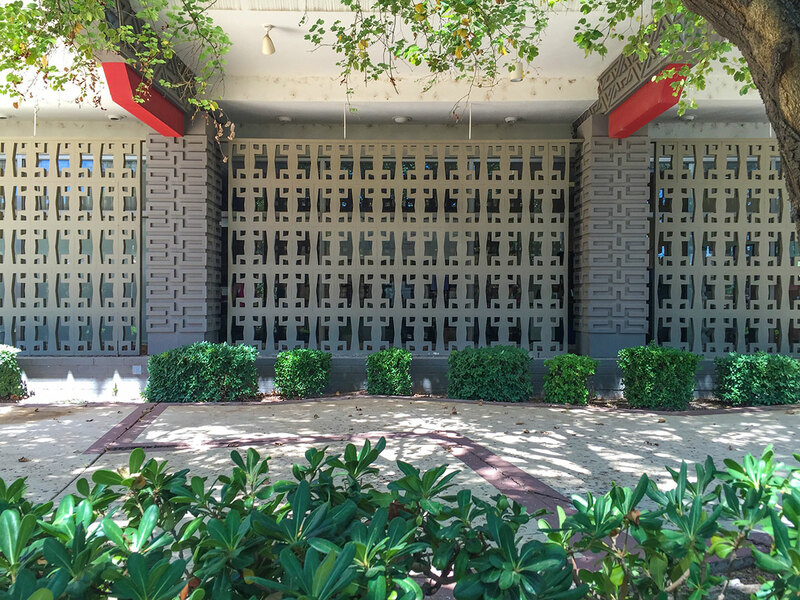 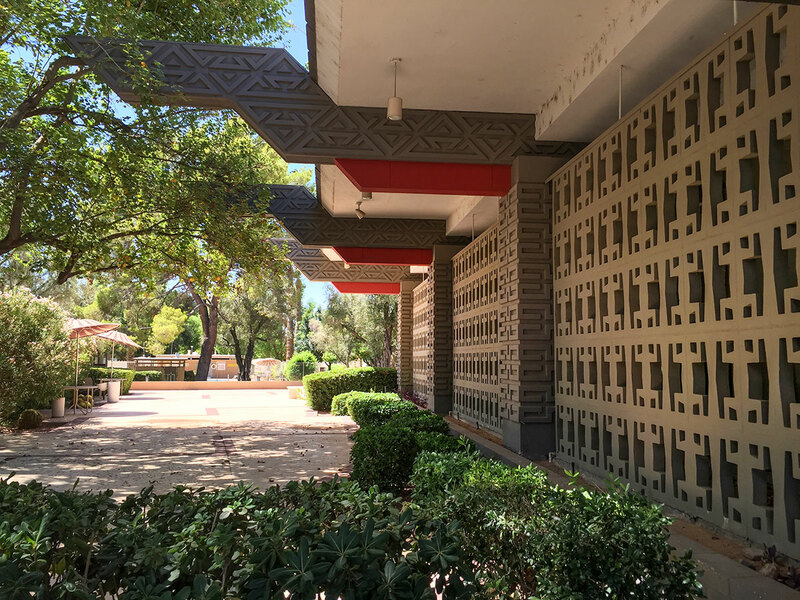 The complex was featured on the 2016 Docomomo US Tour Day for its spectacular breezeblock and exuberant beams decorated with a southwestern motif. 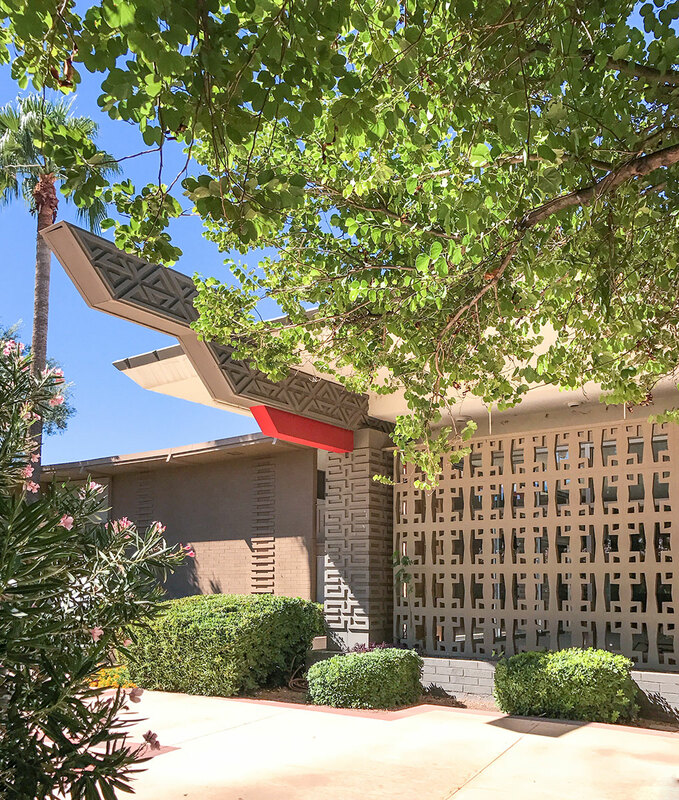 Professional services such as beauty parlor, barber, photographer's studio, dental office and medical facilities were intended to make living easy for mature tenants seeking a carefree lifestyle. 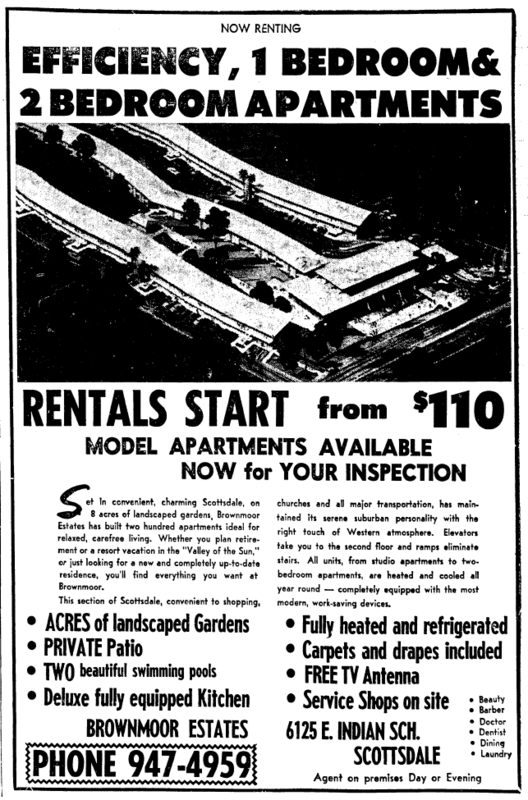 Monthly rates started at $110/$95 for an unfurnished efficiency flat. 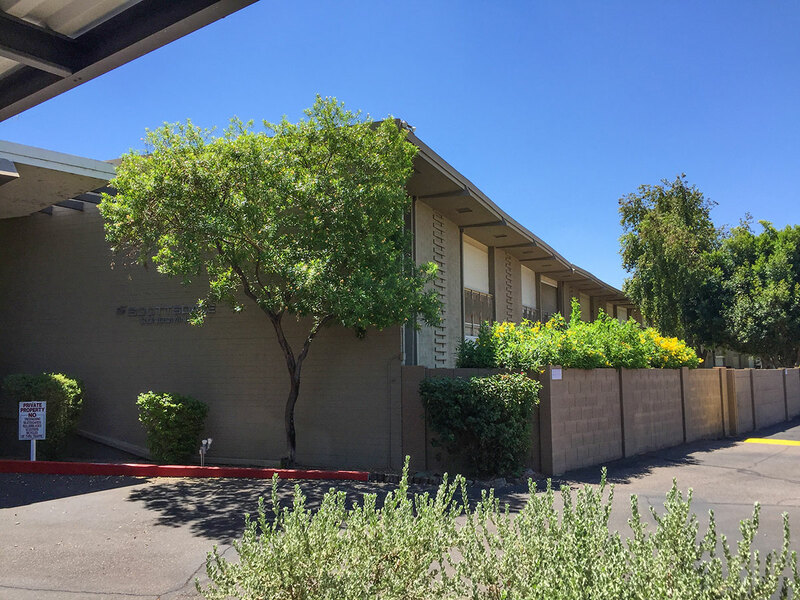 Each unit has a private patio and adjoins a lushly landscaped common space with two pools. 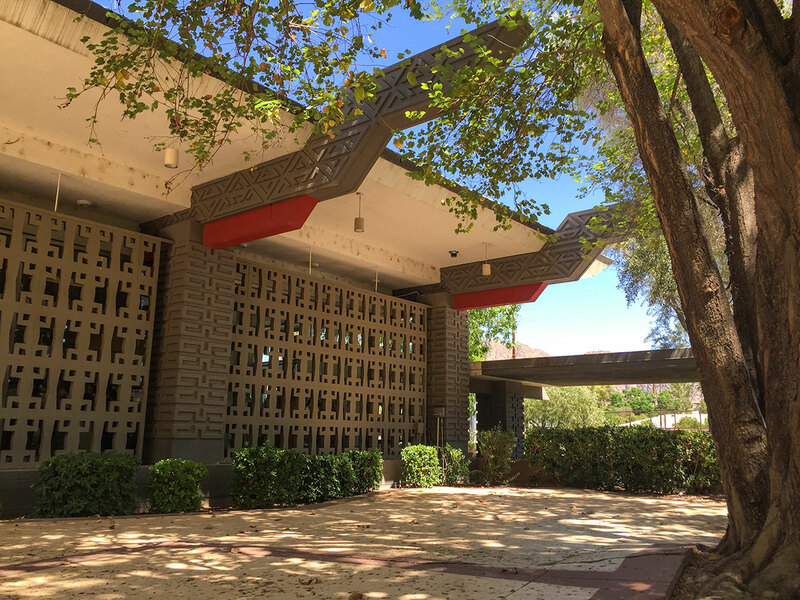 Today people know the commercial space as The Scottsdale Building, where several businesses have taken root and renovated the space. 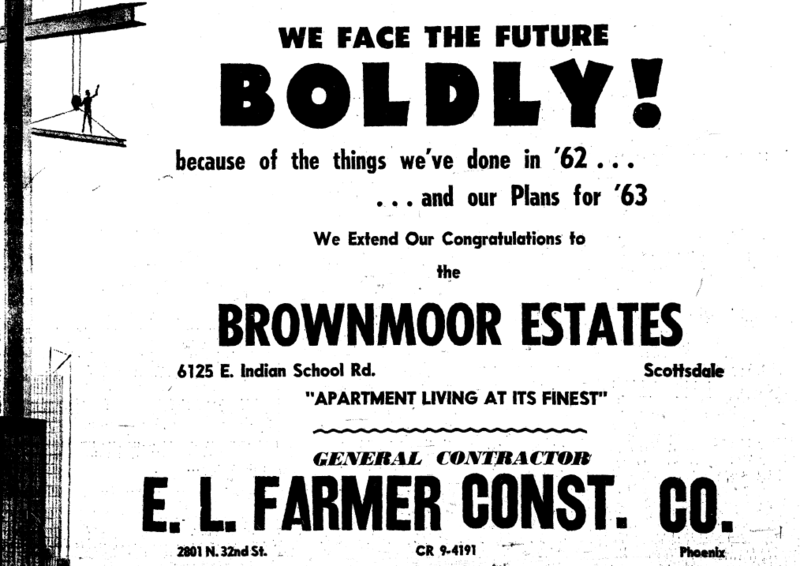 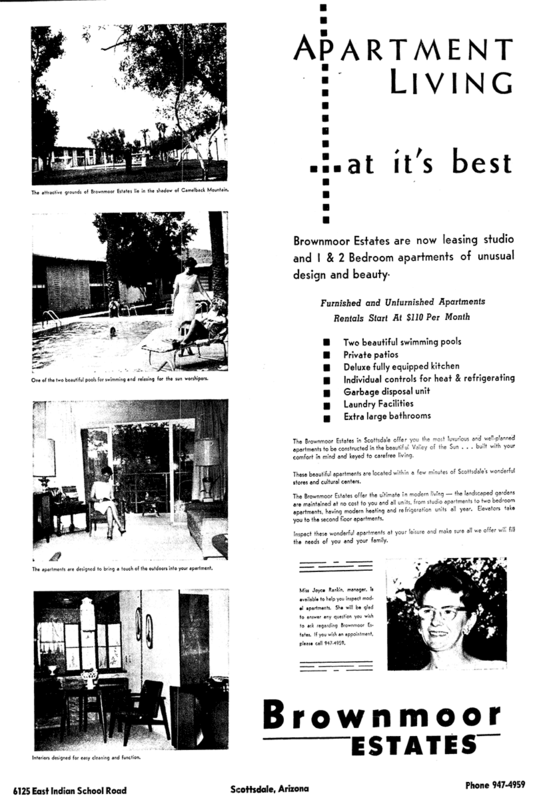 Polacek passed away in January of 1961, before being able to enjoy the grand opening of Brownmoor. 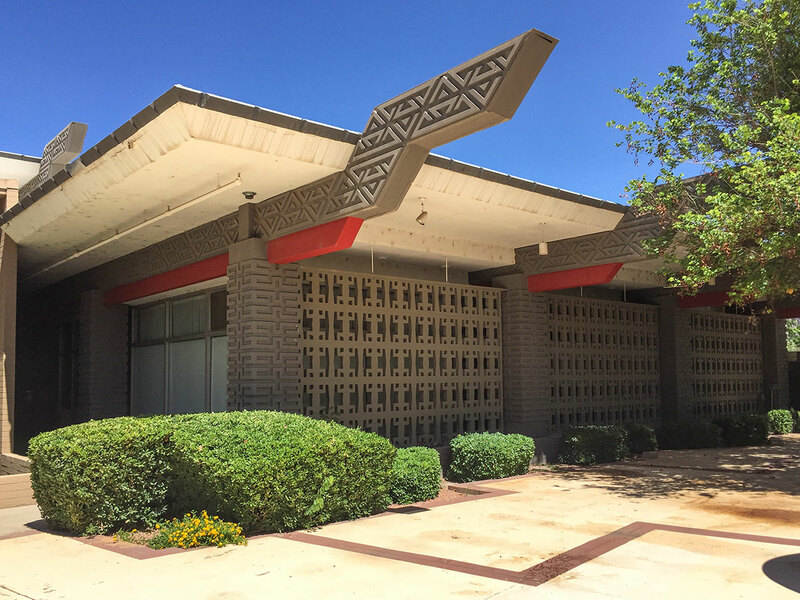 He is known for designing several garden apartments, the Guaranty Bank building, the Arizona Bank home office, original concept for Landmark on Central tower (taken over by another architect), and Stewart Title (formerly the Dental Arts building). 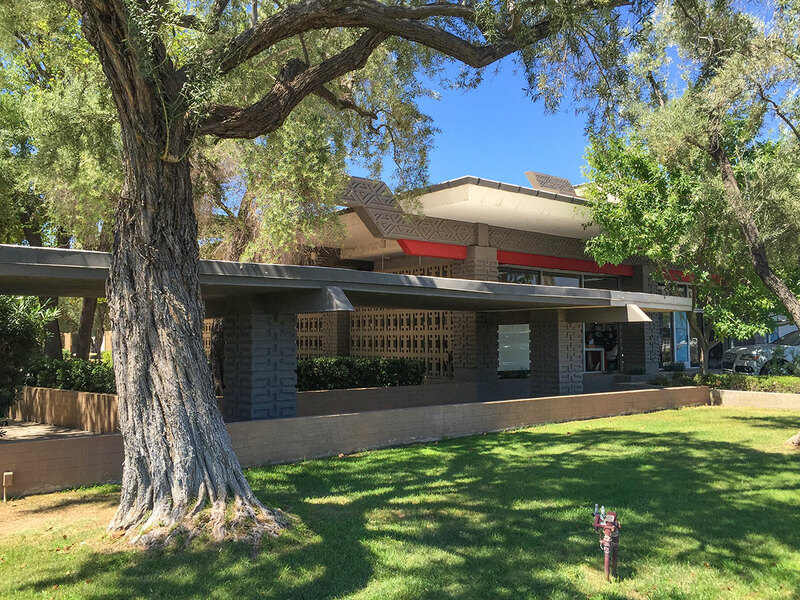 Stewart Title was largely demolished in 2017 and only a façadomy remains.